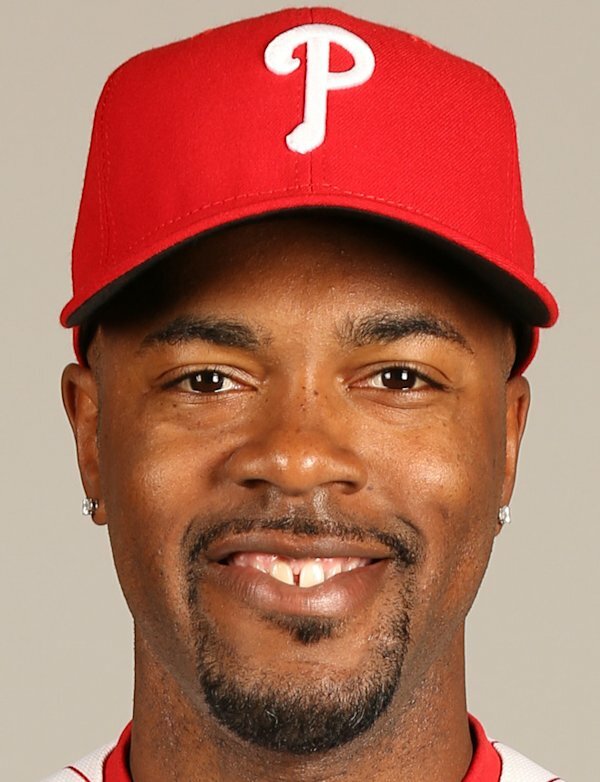 Jimmy Rollins is unquestionably one of the most successful Philadelphia Phillies players of all time. Rollins is the Phillies all time leader for shortstops in runs scored, HR, SB, RBI, OPS, and SLG. He also ranks second in club history in games played. Defensively, Rollins lead all MLB shortstops from 2000-2013 in defensive runs saved according to FanGraphs’. Of course, Rollins also won the 2007 National League MVP award and was the starting shortstop for the 2008 World Series team. Despite all the success Rollins has had in his 14 years in Philadelphia he is still one of the most controversial athletes in the city. For good or for bad Rollins has never been scared about opening his mouth. In 2008, the same year the Phillies would go on to win the World Series, Rollins came under flak for going on the Fox Sports’ show “Best Damn Sports Show Period” and calling out Philadelphia fans for being “front-runners.” This resulted in him being booed by the Philly faithful. Rollins has also been benched multiple times in his career for not running out groundballs and pop flies. More recently, Rollins has been in the middle of a locker room controversy with manager Ryne Sandberg after being benched for multiple games. Coincidently, the benching occurred after Rollins was quoted in the Philadelphia Daily News as saying, “Who cares,” regarding the Phillies offensive struggles thus far in spring training. Chase Utley is rightly beloved in the city of Philadelphia while Rollins is often times rightly scolded. This is despite the fact that their overall stats are comparable, and Rollins has been able to stay healthy for the majority of his career and win the MVP award. Utley has failed to do both of these things. This is because Utley plays a blue collar style of baseball. He hustles on every ground ball, has a high baseball IQ, is a team first player, respects the fans of Philadelphia, and rarely talks to the media or opens his mouth up. It’s not about comparing Utley and Rollins. Rather, Utley is an example of the type of player that appeals to a professional sports team and a city like Philadelphia. If Utley is an apple than Rollins is an orange. They are polar opposites, which is why Rollins isn’t appealing to root for. Rollins doesn’t hustle on every ground ball, Rollins is more worried about individual statistics than team ones, and Rollins never shuts his mouth. The former 2007 MVP no longer has the stats to back up his play either. In 2013, Rollins had career lows in HR, RBI, SB, and SLG. Defensively, Rollins had the lowest dWAR of his career for any one season at -1.0 according to Baseball-Reference. In FanGraphs’ 2013 End of Season Rankings, Rollins was ranked as only the 19th best shortstop out of 29. It is time for Rollins to quiet his mouth and stop being a distraction to a Phillies team that had its worst season in 2013 since 2000 (Rollins’ first in the league). Rollins should be more focused on being a leader and helping the Phillies once again reach the playoffs. Jimmy’s act has gotten stale in Philadelphia. There was a time when his brash personality was seen as “swagger” for a MVP player on a championship team. All that is left from that, however, is just the brash personality. No swagger, no MVPs, and no championships. It might be time for Rollins to mature and become a team player. Better yet, it might be time to see a new player standing between second and third base for the Phillies.